Georgetown’s Cassin House at 3017 O Street NW has been sold for $7.5 million by the Fisher Family Trust. Initial construction of the large Federal house began in 1816; by 1818, documents describe the impressive abode as a “mansion.” Subsequent work was completed in 1900, and today the house measures 6,578 square feet. It boasts grand public rooms with high ceilings, six huge bedrooms and fi ve and a half baths. Highlights include a two-story side porch, staff quarters and private driveway. Joyce Sargent with Arnold, Bradley, Sargent, Davis & Chew listed the three-level home for $8.95 million. Michael Rankin and Maggie Shannon of Tutt, Taylor & Rankin Sotheby’s International Realty represented the out-oftown buyers. 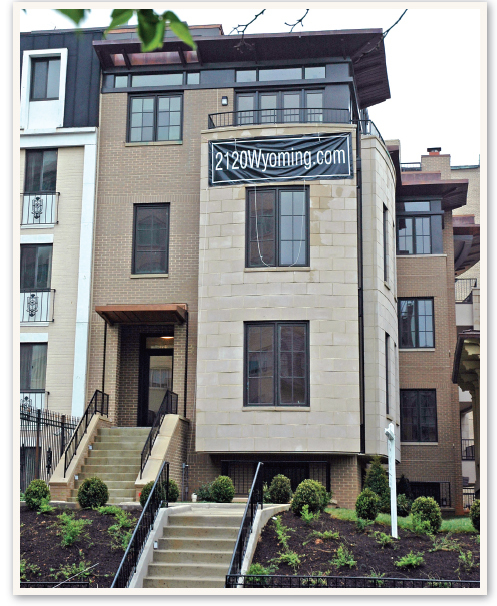 Also in Georgetown, realtor Michael Rankin is reportedly planning to sell his home at 3303 Volta Place NW for $2,395,000 to a pair of attorneys. The early 1800s brick Federa edifi ce was once three row houses and contains original fireplace mantles, random-width hardwood fl oors, and an original staircase plus well-preserved mouldings and wainscoting. There are three bedrooms, three and a half baths, a private courtyard, a lovely English garden and a garage built just last year. During World War II, the house belonged to Assistant Secretary of War Jack McCloy. It was in the library that McCloy and Generals George C. Marshall and Brehon B. Somervell drew up the plans for the D-Day invasion.